Repair & Fabrication - Go anywhere. Bring anything. Guaranteed repairs. Yes, it's true. Two important things differentiate our service shop from others: transparency and data. We provide you with descriptive, plain English notes on each repair detailing what was performed on your bicycle and why. We guarantee that, if you take our service recommendations, your bike will ride better than it ever has, or your money back. That's how much service matters to us, and how confident we are in our mechanical experience and ability. Please read on to learn more about how we assess mechanical issues and charge appropriately for their repair. We offer comprehensive repair services, from basic flat tire repair to complete overhauls. Click for detailed info. Though we always recommend bringing your bike to the shop for an assessment and estimate, the cost of these basic services falls in the following ranges. We do things a little differently at Green Machine Cycles, thankfully to your advantage. Read about our service rates here. We guarantee your Green Machine-built wheels will stay in true for a year or we repair them for free. Where else can you find such an offer? We are happy to assemble your new bike purchased elsewhere! 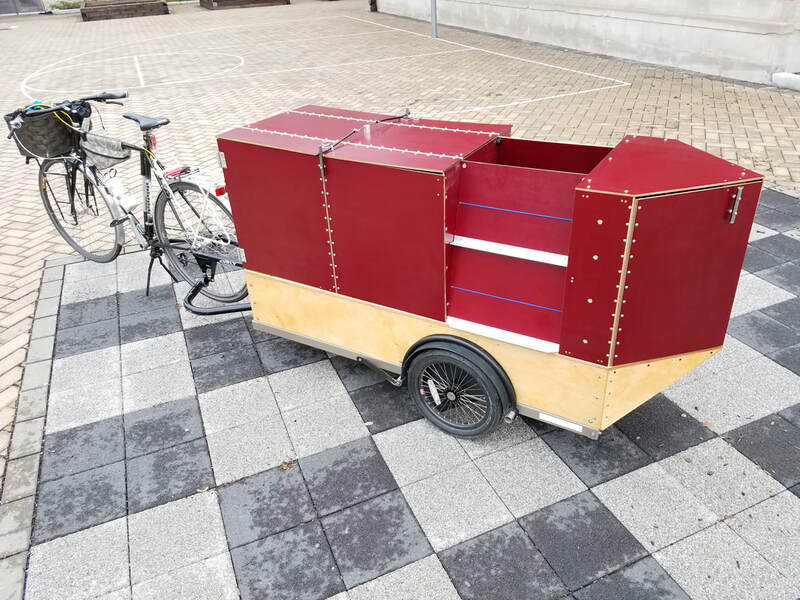 Recently we built a bookmobile bicycle trailer for a public library in Wisconsin. We are currently at work on a series of high-capacity food delivery bikes. Contact us with ideas about your project. We can help make it happen!